CHARLTON – Malcolm Anthony, 67, of Liverpool, formerly of Montreal. 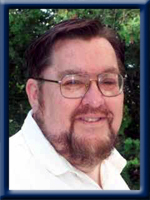 It is with deep sorrow that we announce the passing of a dear husband and father on Sunday, March 16, 2014. Born in Montreal, Quebec, he was the son of the late Earl and Agnes-Marie Charlton (MacKenzie). Malcolm’s pride and joy was his family, which included not only his wife and daughter, but his dear friends and fellow Masons. He felt it an honour and a privilege to be elected Worshipful Master of Zetland Lodge #9, his only regret is that he was too ill to serve. Malcolm’s passion lay in radio and television production, an industry that saw him produce and direct numerous documentaries and variety programming, work in the CBC national radio newsroom and run the CBC Montreal newsroom. Malcolm was director of Hockey Night in Canada for nine years and was at the helm of National finals in a multitude of other important sports broadcasts, and later worked at CTV Montreal and 940News prior to his retirement. Even in retirement though, Malcolm could not stay away. He was a significant presence from the outset at Liverpool’s QCCR radio before starting his own daily news site, Queens County Close-up. Malcolm leaves to mourn his loving wife of 45 years, Linda (Ridley), his daughter Phaedra (Jamie Huskins), special friend Kathleen Quinlan, new and old friends and Masonic brothers, all of whom offered Malcolm such overwhelming support. The family would particularly like to thank Dr. Norah Mogan and the staff at Queens General for their thoughtful and compassionate care of the entire family during Malcolm’s final hours. To you all Malcolm’s family, we send our condolences . We all were blessed to have known such a wonderful man. He forever will live in many thoughts and hearts for just that reason. May you all hold each other close and accept all the support and love that you will receive from the community and friends from here in Liverpool and far. God Bless all and Phaedra thank God you are close to your Mom to help her through this very hard time. My experiences with Malcolm were not many, but whether in person or via Queens County Close Up, two words come to mind: gentleman and professional. Take comfort in your memores. We were sorry to hear about Malcolm. Our thoughts and our prayers are with your family. I am sorry to hear of Malcolm’s passing. I have known Malcolm for several years through his time at QCCR and through Lodge, Malcolm also became a customer when I was still working and very nice and understanding person. He will be missed by many. It was a pleasure and privilege to work with Malcolm in Montréal. He was a kind, friendly, good man. Please accept my condolences. I share your sadness. so sorry to hear about malcom’s passing. he was always a good friend and a brother to joe. I still smile as I remember malcom helping me on the computer. he had the patience of jobe. he will be missed . I’m sorry to hear about Malcom’s passing. My sincerest condolences to the whole family. I was very fortunate to have known Malcolm at the beginning of my career at CTV News. In fact, he was the one who interviewed me for my internship and gave me my first shot in the news business. He asked me who inspired me the most, and I told him it was my parents. That got his attention, and I knew then how important family was to him. I wish you strength through these difficult times, and comfort. Prayers and thoughts are with you and your family during this time of sorrow. May you find comfort with all the memories. “What we have once enjoyed, we can never lose. All that we love deeply becomes part of us.” – Words cannot express the sadness we feel for you. Our hearts are with you and know that you are surrounded by the love of many. Love, Melanie, Peter and Olivia. So very sorry to hear of Malcolm passing away! God bless you all! I’m sorry to hear that Malcolm. My thoughts are with you and your family. Sorry to hear of your Dad’s passing. Our thoughts and prayers are with you at this difficult time. You know you have my sincerest sympathies in the loss of a father, husband and my very best friend. May God bless and comfort you. So sorry to hear of the loss of your Dad, our thoughts are with you. My condolences to the family. Malcolm was a talented Producer/Director at CTV and was always a professional and a gentleman. My sincere condolences on the death of Malcolm. I knew him through his vivacious participation in the Montreal BBS community during the 1980s and 1990s where he went by the name of “Pix Slicer”. We enjoyed many conversations and I appreciated his wisdom. He will be deeply missed. Very sorry to hear the news of Malcolm’s passing. He has always been a blessing to our family. I have many fond memories of him and he will continue to live in my heart. My thoughts and prayers to all his loved ones. We are so fortunate that Malcolm and his family chose to come to our little town. He will be sadly missed but fondly remembered. Our condolences to Phaedra, Linda and family. We are so sorry for your loss,your Dad was a very friendly man who was well liked by everyone.Our condolences to you and keep his memories close. Phaedra and family…..I was saddened to hear of Malcolm’s illness and then his passing. May you and your family find peace and comfort in the loved ones who surround you during this difficult time. Phaedra and family-so sorry for your lose , may you fine comfort with your friends and family in this terrible time in your lives. May you rest in peace . Thank-you for all the laughs and great years we shared in the newsroom. Side by side, you taught me a lot about keeping one’s cool during a live newscast! Warm blessings to the entire family. Phaedra, Jamie and family, Our thoughts are with you at this sad time. Hold those memories close and they will help you. I was shocked and saddened to learn of Malcolm’s passing. I worked with Malcolm very closely at Pulse News. He was directing when I did my audition at the TV station. He was professional, extremely supportive, and a calm voice for a very nervous young journalist. I am forever grateful for that. We subsequently worked together for several years on the late show. I am lucky to have worked with him and considered him a friend. My deepest condolences to his wife and family. Malcolm was a great help to us in promoting our business, Atlantic Archery, for which we are sincerely grateful. Our sincere condolences to his family at this time of sorrow. Please accept my most heartfelt sympathies for your loss. My thoughts are with you and your family during this difficult time. I knew Malcolm for probably three years, during which time he delighted me with his zest and love for Queens County and his courtliness and kindliness. He was a funny, engaging fellow that taught whenever he talked. We are all poorer for his passing. I was shocked and saddened to learn of Malcolm’s passing. He was a warm, generous , and talented man. We had many happy times working together. My thoughts are with you at this difficult time. Malcolm was true gentleman, a genuine professional and a significant asset to the community. We are all the poorer for his passing. Malcolm was only here a few years but he has left a lasting legacy on his chosen home and those lucky enough to call him a friend. His passion for things important to him was second to none. His grace during his short illness will not be forgotten. We will miss him very much. May your many fond memories give you comfort in the days ahead. Sorry to hear about Malcolm passing .Our thoughts and prayers are with the family. Thinking of you at this difficult time, peace, love and comfort be with you. I hope you may find some comfort in knowing that so many were touched by Malcom’s kindness, intelligent, wit and obvious love of life. He eyes shined with all three. My thoughts are with you Mary and Phaedra. Sorry to hear about Malcolm’s passing. I will certainly miss him. He was a great help to me when I did my first commercial at QCCR. I also miss reading Queens County Closeup. He always kept everyone up to date on what was happening in Queens County. My thoughts and prayers are with you at this time. We are so sorry to hear of Malcolm passing. He was a great person and always enjoyed talking with him. Our deepest sympathy to the family. Sending heartfelt sympathy to you all. Malcolm was key part of the CBC Montreal news team back in the seventies and we continued to keep in touch over the years. It was always a joy to work with Malcolm in the TV newsroom of CBC-Montreal. More recently, although miles apart, we also shared our love of dogs via Facebook. My deepest condolences to Malcolm’s family. We were sorry to hear of the passing of Malcolm and extend or thoughts and prayers to you and the family. It was my privilege to serve with Malcolm for a full year on the board of the Ukulele Ceilidh. When Malcolm offered an opinion or gave advice, it was clear he had experience and knowledge behind him. Proving it’s indeed a small world, Lorne later became Malcolm’s Lodge brother. Our sincerest condolences to all the family on the passing of a most gracious and talented man. Today we attended the funeral of a gentle, kind, generous and talented man. Malcolm’s loss will be significantly felt throughout our community. His commitment and passion for his causes was second to none. With a wonderful combination of seriousness and humour, he managed to make those around him feel good about themselves and very special. So sorry to hear about Malcolm passing away. May he rest in peace and may thoughts and prayers goes out to his family and wife. May God bless all of you. Our prayers go out to Malcolm wife, Linda, and to his daughter Phaedra. A life taken way to early. I am proud to have know Mac and to have called him friend. My condolences to Malcolm’s family. I had the privilege to be directed by him in the Winds of Change production of Angel Street, and found him to very wise, likeable, and generous. Cry not because they have gone, but smile because they were here! A donation has been made by Bell to the NOVA SCOTIA SOCIETY FOR THE PREVENTION OF CRUELTY QUEENS COUNTY BRANCH in memory of Malcolm Charlton. On behalf of all CTV Montreal employess, our deepest condolences for your loss.